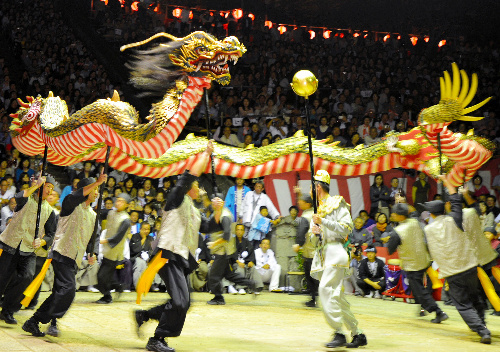 THOUSANDS of festivals are held in Japan throughout the year, and it’s a safe bet that one or more is underway on any given day. 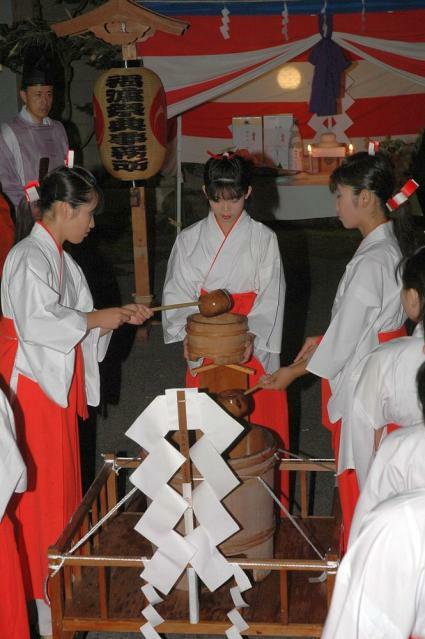 While most of them share common elements, both traditional and modern, they also have an element unique to their community or region. 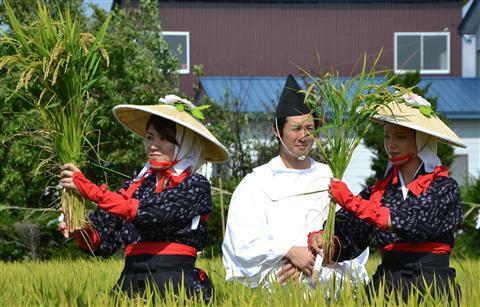 The Nagawa Fall Festival in Hachinohe, Aomori, is a case in point. 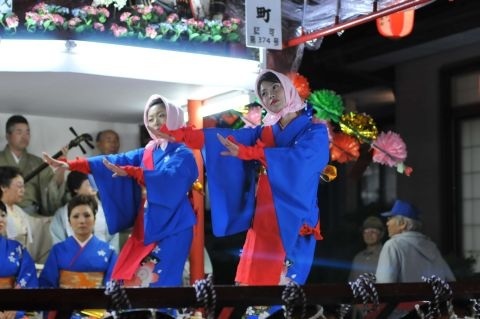 There is the Shinto kagura dancing at the Suwa shrine. 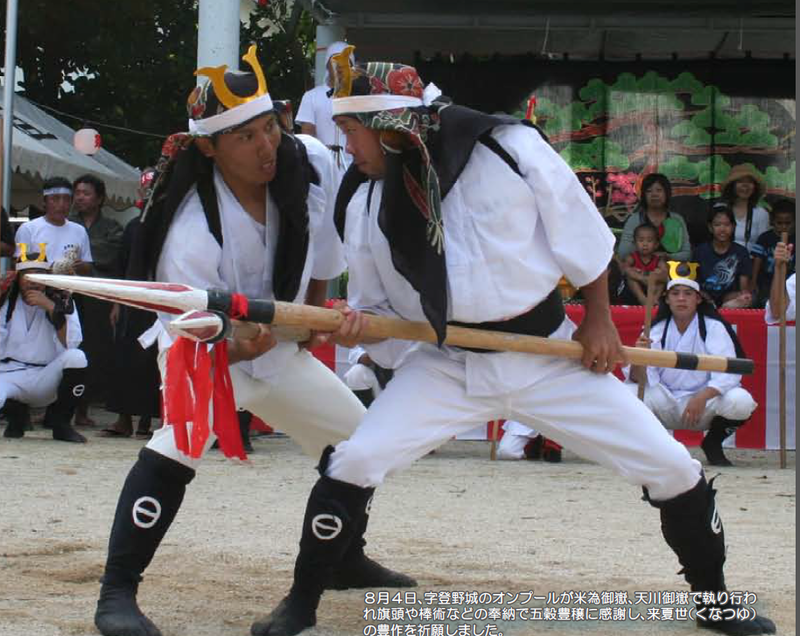 There is also deer dancing, pestle dancing (a form of kagura), tiger dancing, and Hawaiian dancing. 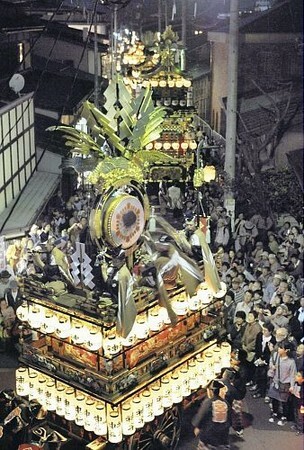 There is a procession with a mikoshi, or portable Shinto shrine. 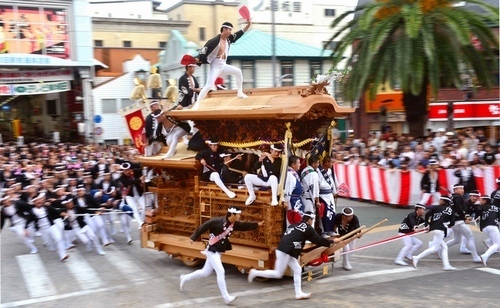 There is a fire department parade with the fire department kids’ club, a primary school parade, a traffic safety parade, a beer garden, and a gateball championship. 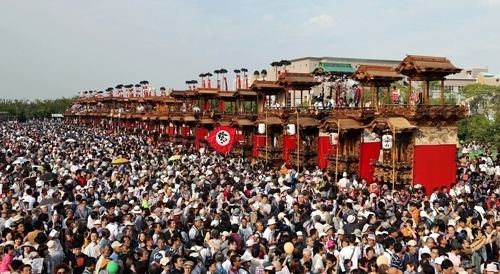 All of that you can see and do at other festivals. 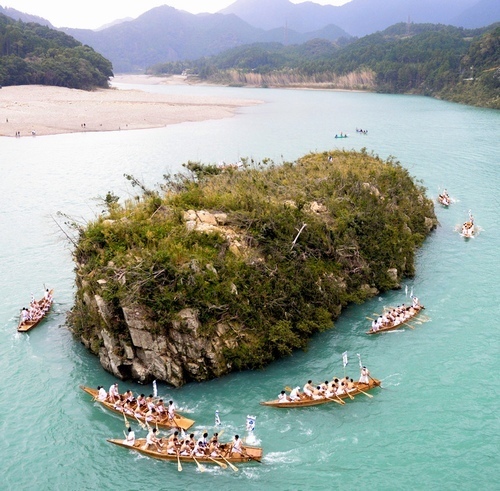 But only at the Nagawa Festival can you see five floats in a procession with women performing the Nambu hand dance to the accompaniment of shamisen and taiko. 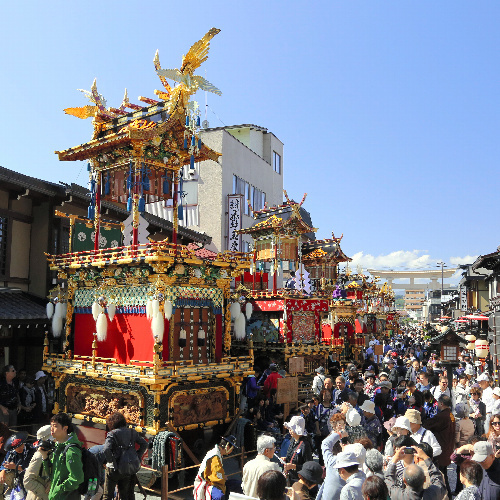 The Handa Dashi Festival is held once every five years in Handa, Aichi, and this year was the year. 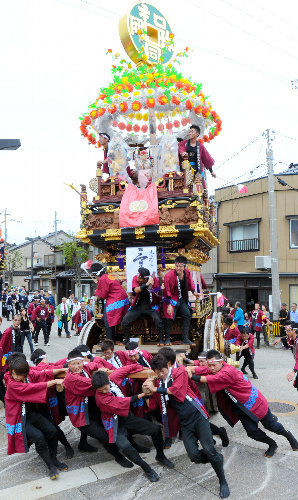 A dashi is a festival float, and the city has 31 one of them, each rather elaborate. 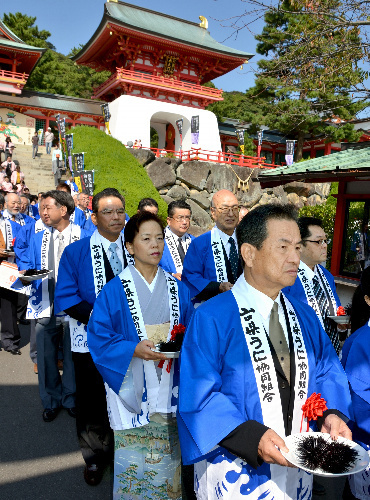 The main attraction is when they’re lined up in a row, which you can see at the end of the short video. 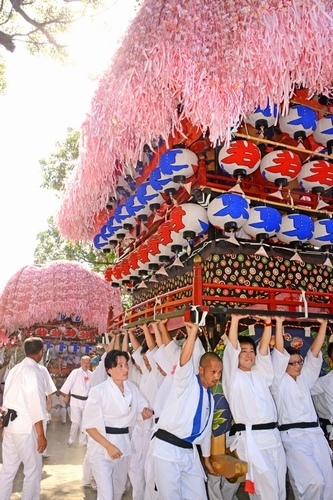 Here’s a previous report on another festival in Handa featuring large floats. The following Youtube video is a compilation of some of the mishaps that have occurred over the years. Get your socks on before pressing play — and remember that they still do this every year.